A planned meeting between Shaul Mofaz Mahmoud Abbas that had been set for Sunday has been postponed. A planned meeting between Vice Prime Minister and Kadima head Shaul Mofaz and Palestinian Authority Chief Mahmoud Abbas that had been set for Sunday has been postponed. The postponement was reported by the PA's Ma'an news agency. No new date has been set for the meeting. A senior Fatah official was quoted in the report as saying that the meeting was cancelled for several reasons, including “public disapproval of the meeting under the current circumstances.” The official said that Abbas “respects the views of the public that has expressed its opposition” to the meeting. “The leadership is attentive to the call of the street.” Abbas “is exposed to internal and external pressures due to Israel's stubbornness and the continuation of the occupation, the settlements, arrests, and destruction of homes,” the official was quoted as saying. 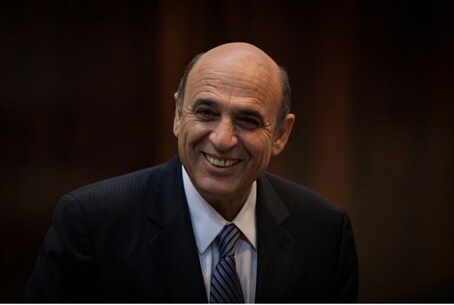 Sources close to Mofaz blamed Prime Minister Binyamin Netanyahu as responsible for the cancellation. The sources said that Netanyahu pressured the PA to cancel the meeting. Sources close to Netanyahu denied the charges.